ISAAC is delighted to announce that the Reverend Young Lee Hertig, Ph.D., Vice President of ISAAC’s Board of Directors, has been appointed Southern California Regional Director. Dr. Hertig will form a Southern California Region resource team, develop regional programs, and oversee the growth of Asian American Women on Leadership for ISAAC. Dr. Hertig teaches in the Global Studies and Sociology Department at Azusa Pacific University. She was formerly a Vera B. Blinn Associate Professor of World Christianity at United Theological Seminary in Dayton, Ohio (1998-2002), and has mentored United Theological Seminary’s Doctor of Ministry Group, “Spirituality, Sustainability, and Interfaith Dialogue” (2004-2006). She was an Assistant Professor of Cross Cultural Ministry at Fuller Theological Seminary (1992-1995) where she also earned a Ph.D. in intercultural studies. She is an ordained Presbyterian clergy and author of Cultural Tug of War: Korean Immigrant Family and Church in Transition (Abingdon Press, 2002). 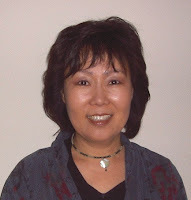 She has contributed chapters to Realizing the America of our Hearts: Theological Voices of Asian Americans, Resistance and Theological Ethics, Mission In Acts: Ancient Narratives for a Postmodern Context, Gospel Bearers, Gender Barriers: Missionary Women in the Twentieth Century, and People On The Way: Asian North Americans Discovering Christ, Culture, and Community. She also served on the study team that published “Asian American Religious Leadership Today: A Preliminary Inquiry” on behalf of the Pulpit and Pew Project at Duke Divinity School. Dr. Hertig is Presbyterian Commission Member to the Faith and Order, National Council of Churches USA. She is married to Dr. Paul Hertig and has one daughter.